A past president of the Syracuse University Alumni Association. An influential advocate for victims of domestic violence. A visionary television producer. Three outstanding alumni who embody the spirit of Syracuse University are the 2018 class of Eggers Award winners. 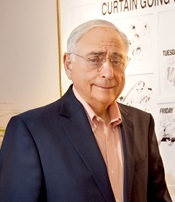 This year’s Eggers honorees are Larry Bashe ’66, G’68, Helen Lefkowitz ’60 and Fred Silverman ’58. 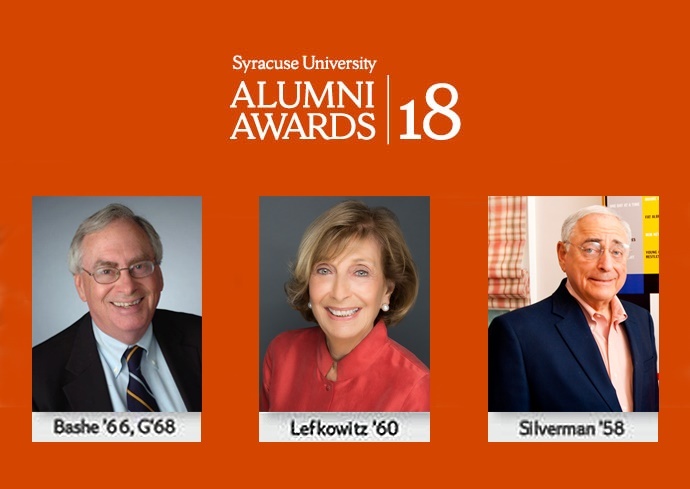 The Melvin A. Eggers Senior Alumni Award honors alumni who graduated more than 50 years ago and demonstrate outstanding leadership and service to society, along with loyalty and service to Syracuse University. New this year, the winners of the Eggers Award, the George Arents Award and the Generation Orange Award will be honored during the inaugural Syracuse University Alumni Awards Celebration on Friday, Oct. 19, during Orange Central, SU’s annual homecoming and reunion weekend. Bashe served on the Syracuse University Alumni Association Board of Directors from 2004-12, including two years as president. 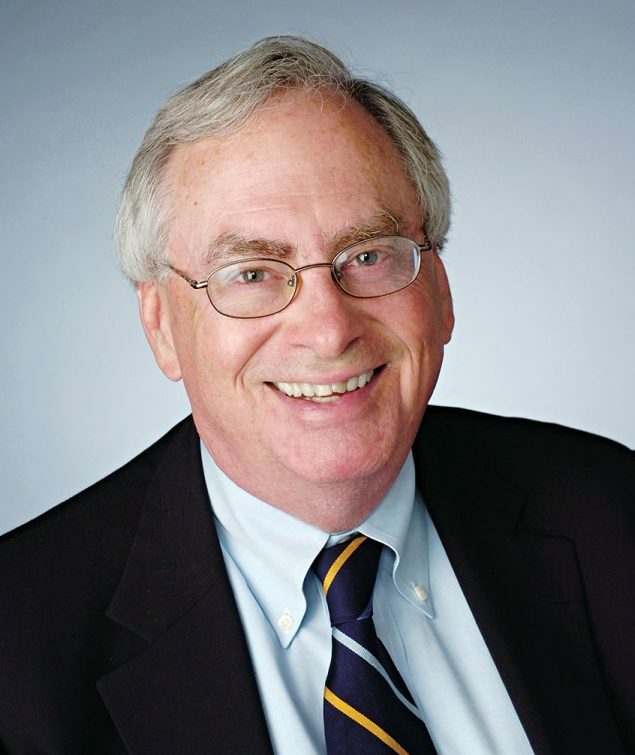 He was also a member of the University’s Board of Trustees and the advisory boards of the Maxwell School and the Burton Blatt Institute. Bashe was chair of his 50th reunion committee during Orange Central 2016. 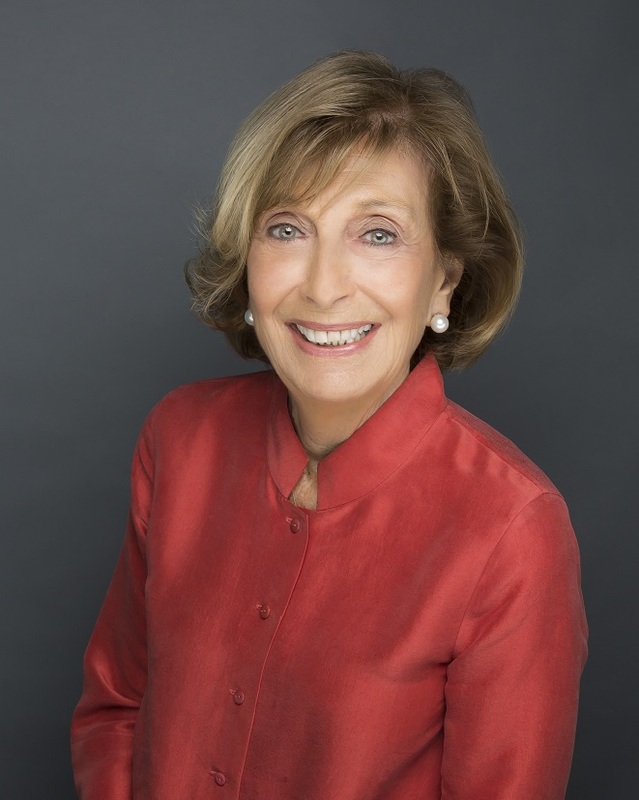 Lefkowitz, a founding partner of the law firm of Lefkowitz and Poulos in New York City, focused her career on issues of domestic violence, child abuse and juvenile delinquency. Lefkowitz and her late husband, Joel ’58, founded the SU Alumni Club in Suffolk County. Silverman is the only person to direct programming at the NBC, ABC and CBS television networks and was executive producer of “Matlock,” “In the Heat of the Night” and “Diagnosis Murder.” He is president of The Fred Silverman Company, a production and consulting business, and a member of the National Academy of Television Arts and Sciences Hall of Fame. Orange Central 2018 will bring together the entire University community Oct. 18-21. Honoring SU’s talented and accomplished alumni across generations, the SU Alumni Awards Celebration is sure to be Orange Central’s premier event. The festivities begin with a cocktail party featuring drinks and food stations from 5-6 p.m., followed by the awards celebration in the Schine Student Center’s Goldstein Auditorium. The evening will culminate in an after-party with live music, drinks, food, and desserts in Schine’s Panasci Lounge. Tickets for the cocktail party and awards celebration cost $30. Generation Orange alumni pricing for graduates of the last 10 years is $20. Tickets for the cocktail party, awards celebration, and special after-party cost $75, and $50 (Generation Orange). To register for any of the nearly 50 Orange Central programs—including the SU Alumni Awards Celebration—visit the Orange Central website. Online registration closes Monday, Oct. 15.